Do you ever snooze in the morning? 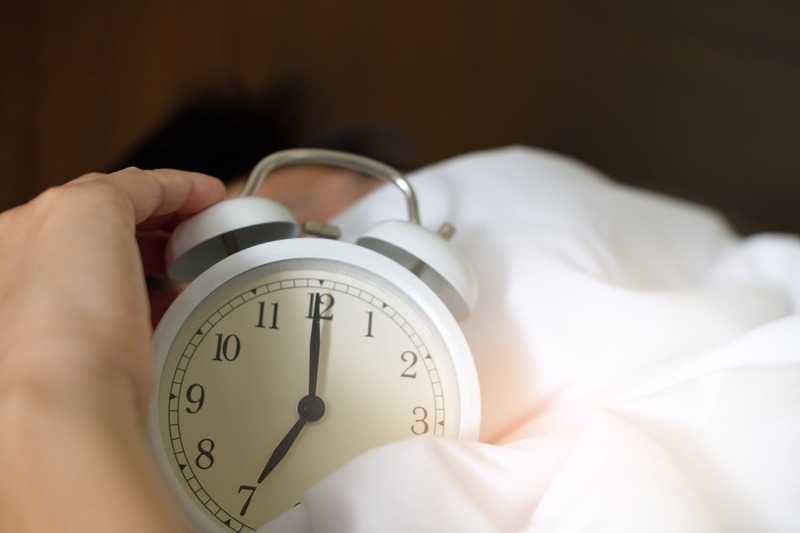 It might seem beneficial or necessary to try get a few more minutes of sleep after your alarm goes off. However, hitting the snooze button is actually one of the worst ways to start your day. In this article, you will learn why snoozing is such a bad habit. You will also learn three simple steps that can help you stop snoozing for good. There are a few reasons why snoozing is such a bad way to start your day. First of all, waking up and going back to sleep briefly is not rejuvenating. Any extra sleep that you get by snoozing is of very low quality. Secondly, snoozing throws off your circadian rhythms. It leads to something known as sleep inertia and actually makes you less alert and less productive for hours. Finally, snoozing sets a weak tone for your day. If you cannot defeat your alarm clock, how will you overcome the much more formidable challenges that you will face at work and outside of work? I know firsthand how difficult it can be to break the habit of snoozing. I snoozed virtually every day during college and during the first 7-8 years of my career after college. Each morning was a struggle. At the time, I told myself that I was not a morning person. In reality, my problems getting out of bed were not due to my genetics. They were due to my bedroom setup and my bedtime habits. By making a few key changes, I broke my snoozing habit for good and have not snoozed in years. If you have a habit of snoozing, it is usually a sign of a bigger problem. Here are three steps that helped me stop snoozing. They can work for you too. Step 1: Get more quality sleep. If you feel the urge to snooze in the morning, you are probably not getting enough quality sleep. Getting more/better sleep will make it easier to get up right away. This has definitely been my experience. There are three main ways to improve your sleep quality. First of all, turn your bedroom into a sleep sanctuary. A bedroom full of clutter, electronics, and materials related to work is not conducive to good sleep. Give some thought to what you could remove, add, or change in your bedroom to make it more peaceful. Secondly, develop a more deliberate, peaceful bedtime ritual. A stronger morning really begins the night before. If you usually wake up tired, your habits before bed (not your genetics) are probably the problem. Make sure you avoid the five common habits that can lead to insomnia and snoozing. Step 2: Develop a more exciting morning routine. If you typically snooze, another problem could be that you have nothing exciting planned for the morning. Developing a more deliberate, enjoyable routine before work will make you more likely to stop snoozing and get out of bed quickly. Step 3: Place your alarm clock strategically. Even if you follow the first two steps, it will be difficult to stop snoozing if you just have to roll-over to do so. If you wake up to an alarm clock or an alarm on your phone, move the device at least ten feet away from your bed. That way, you will have to get out of bed to turn it off. Once you are out of bed, the hardest part will be done. This is especially true when you got enough sleep the night before (step 1) and when you planned a fun morning routine to start the day (step 2). What if you are not a morning person though? You do not need to be a morning person to stop snoozing. You could decide that you will stop snoozing because you are not a morning person. Snoozing just makes you even groggier. Either way, if you think that you are not a morning person, beware of how you label yourself. If you struggle to get up in the morning, it is probably because of the reasons outlined above, not because of your genetic makeup. While many people believe that snoozing is beneficial or necessary, it is actually one of the worst habits in the morning. It makes you groggier and less productive, and it sets a weak tone for your day. Develop a more exciting morning routine. Place your alarm clock strategically. Bucklan, Erin. “Is the snooze button bad for you?” CNN. February 7, 2014. https://www.cnn.com/2014/02/06/health/upwave-snooze-button/index.html. Shawn Stevenson. Sleep Smarter: 21 Essential Strategies to Sleep Your Way to a Better Body, Better Health, and Bigger Success (New York: Rodale, 2016), 42; Kulreet Chaudhary, “Sleep and Longevity,” The Dr. Oz Show, May 27, 2011, http://www.doctoroz.com/blog/kulreet-chaudhary-md/sleep-and-longevity.